Do you have a hard time keeping your lunch containers from getting stained? Leftovers for lunch is one of my favorites. Sometimes those leftovers include red sauces—such as tomato sauce, pasta sauce, etc. Guess what happens? Stains in my lunch containers! I use to think they were permanently ruined, and I had to live with the stains. Not anymore! 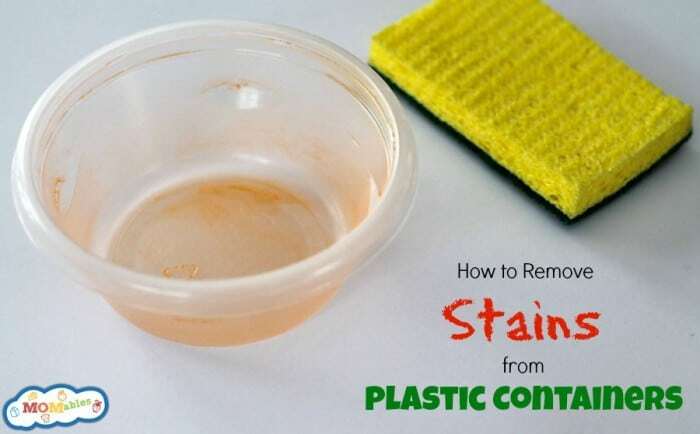 Here are some great tips to try to rid your lunch containers of those unsightly stains. Need to Know: Stains are nearly impossible to remove after a container has been microwaved. The heat has baked the stain into the plastic—thus, after heating sauces, you get those hideous red stains. This is a great reason why silicone cups or containers are so great for putting inside your plastic container for lunches. You can remove the silicone and microwave those items without affecting your plasticware. When you pack great lunches for your kids, stains in the lunch boxes just come with the territory. Luckily, MOMables is here to help you with these different kinds of problems! 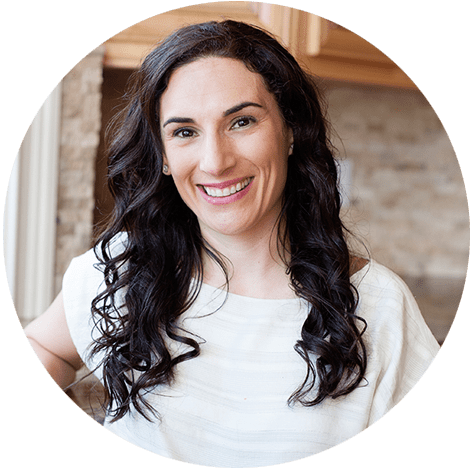 MOMables also provides a great weekly lunch menu plan that gives you a variety of easy real-food ideas, prep-ahead suggestions, and lunch box packing tips! You can also sign up for the FREE weekly newsletter and get ideas sent straight to your inbox! White Vinegar: Mix equal parts water and vinegar to create an all-natural cleaning agent. Let the containers soak in the solution for a couple of hours. After soaking, wash the containers as normal and let dry. If you’re worried about the vinegar smell, don’t worry. It disappears after it dries. Vinegar is also great for removing hard-water stains. Baking Soda: Make a paste with baking soda by adding water. Apply it to the stained areas of your containers, and let it sit for a couple of hours, then clean with a moist cloth or sponge. Wash the containers as normal and let dry. Lemon: Sunny day outside? Perfect. Rub lemon juice on the stained area of the container, then set it outside in the sunshine for 1 to 2 days. The sun and lemon juice work together to remove the stains. Alka Seltzer (or denture tablets): Put two tablets in warm water inside the container, and let it sit overnight. Wash the container thoroughly and let dry. Note: Remember that plastic is very porous, so I recommend not using bleach to clean your containers. Rubbing with a used lemon peel does the job most of times. And if the stain is too stubborn, keep them submerged in a solution of water and lemon juice overnight and done! This exact method works for all kinds of plastic containers and glassware and also stainless steel utensils. my fool proof solution happened by accident when i had leftover chopped potatoes and stored them in a stained plastic container filled with water. i placed them inside the ref and the following day the stains were gone and i thought how and why??? you gotta try it! Fantastic tips! Thanks for posting this!